Your cylinder is hidden, safe, fire resistant and you get automatic LPG gas deliveries. 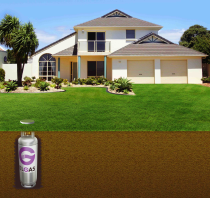 Elgas were recognised with the presentation of an Australian International Design Award for EasyGas DownUnder™, an innovative LPG underground storage system. Presented by Standards Australia, the Australian International Design Awards recognise superior design and innovation in Australia and provide consumers with an independent indicator of quality and value for professionally designed products available on the Australian market. The prestigious honours were awarded to Elgas for EasyGas DownUnder, the first and only underground storage system for residential and light commercial applications. Along with the revolutionary design, EasyGas DownUnder makes use of recycled and recyclable materials in its construction. The judges commented "Why hasn't this been done before? 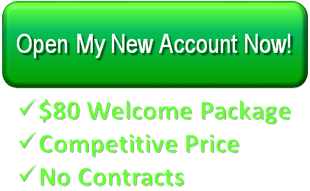 A simple idea with an endless array of benefits." A special canister is installed below the ground. This canister houses the 90kg LPG gas cylinder, which is specifically designed for in-ground installations. One 90kg gas cylinder is suitable for most household applications including cooking, heating and hot water. Located in your garden, the underground gas cylinder is installed as close as practical to the front boundary of the property. This ensures your installation is discreet and allows for easy LPG gas refills from our EasyGas tankers. The gas cylinder is protected by a fire resistant lid which sits flush with your lawn or garden surrounds. Your gas cylinder is safely connected to your home via pipe work installed by a licensed tradesman, similar to your other household services. LPG gas refills are made via EasyGas tanker delivery. ♦ Your safety is assured EasyGas DownUnder has been researched, tested and designed to exceed all industry safety standards. 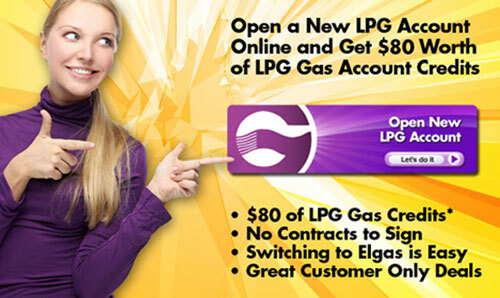 Elgas also provides metered LPG reticulated gas service in certain areas. Reticulated gas provides safe, quality LPG gas to residential, commercial and industrial customers in smaller reticulated gas networks. New or existing users in these areas can obtain further information on this service by contacting the local Elgas branch on 131 161. South Australia users can reference the SA Reticulation Fact Sheet.